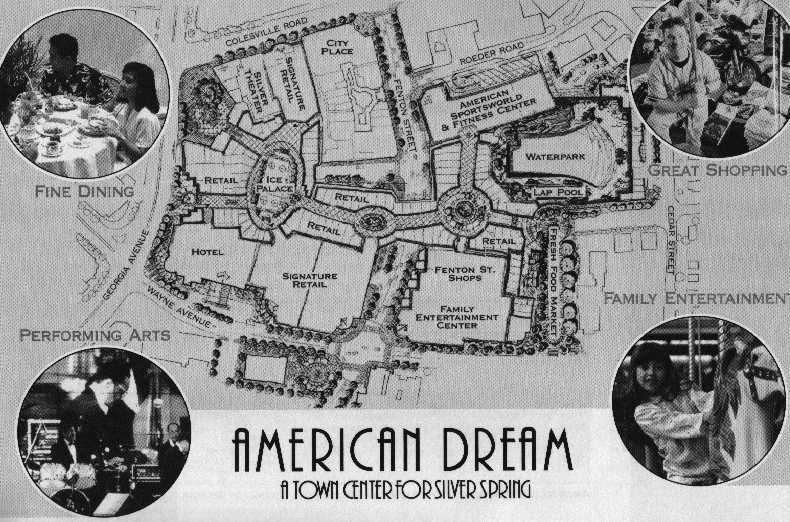 The American Dream project was one of the most controversial plans for Silver Spring redevelopment. If built, the massive project would have included shops, a water park, a recreation center, an IMAX theatre, a multiplex cinema, an ice rink, and a hotel. The project was proposed in August of 1995, but ran into trouble in September of 1996 when it was revealed that the project would need $300 million in public funding. It was canceled by County Executive Doug Duncan in November of that year. 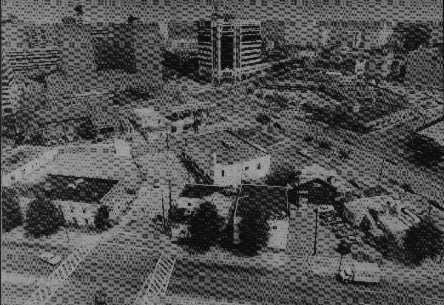 The current redevelopment plan was selected in May of 1997.
headquarters (with the exception of the Tastee Diner, which will be relocated).